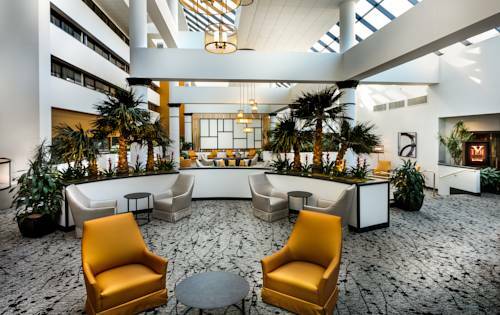 This Wyndham Houston West Energy Corridor provides the best stay in West Houston, with easy access to major oil, gas and technology companies via a complimentary local shuttle, spacious accommodations and friendly, attentive staff. This hotel is also convenient to dining, sporting events, the biggest mall in Texas and the major airports. Relax after a long day in the heated indoor pool and hot tub, or work out in the 24-hour fitness center. A 24-hour business center lets you take care of work at any hour. Choose from a range of dining options including a restaurant serving regional and international favorites for all meals and room service, a coffee shop with pastries, and a bar/lounge with billiards and flat-screen TVs. Over 9,000 square feet of flexible meeting space including an executive boardroom will make any event a success. Complimentary Internet access is available in all guest rooms, which also feature 40-inch flat-screen TV. Refrigerators and microwave ovens available in specific room types.